Rahul Gandhi seems to be relying on divine intervention to help him win the upcoming assembly elections in Rajasthan, Madhya Pradesh and Chhattisgarh. Rahul Gandhi seems to be relying on divine intervention to help him win the upcoming assembly elections in Rajasthan, Madhya Pradesh and Chhattisgarh. Even as the Congress campaign is floundering in these three states, Rahul is away on the annual trek to Kailash Mansarovar, believed to be the abode of Shiv and Parvati. He will be gone for a fortnight. Rahul is entitled to a private life but Congress workers are feeling uneasy about his long absence at this crucial juncture. They are particularly worried about the slipshod manner in which the Madhya Pradesh campaign is being managed with less than three months to go for the election. The state is low hanging fruit for the Congress after 15 years of BJP rule but instead of a well oiled machinery to take on Shivraj Singh Chauhan, the party is in disarray. Kamal Nath is not making much effort to tour the state. Jyotiraditya Scindia is hardly stirring out of his area of influence in the Gwalior region. And Digivijay Singh has more or less washed his hands of the election after being dropped from the Working Committee. Insiders say an old warhorse like Ghulam Nabi Azad, who has run many election campaigns for the Congress, would have served the party better in MP. 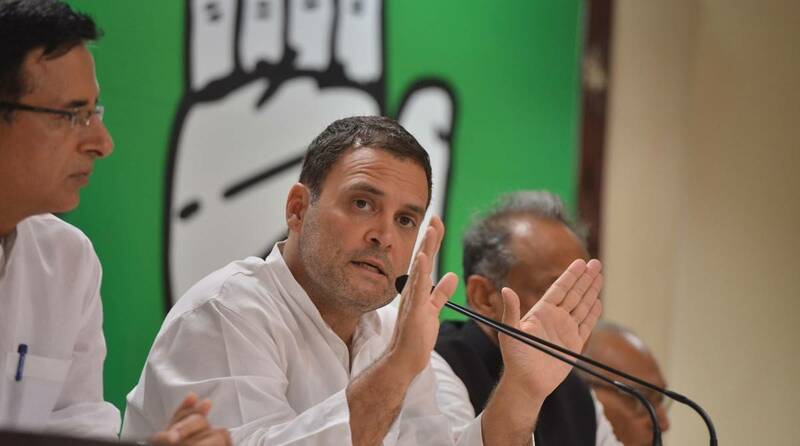 At least he could have sat the three biggies – Kamal Nath, Scindia and Digivjay Singh – down and hammered out a compromise till the election. The brouhaha over the possibility of the RSS inviting Rahul Gandhi to its lecture series in September is rather misplaced. More than a decade ago, in 2007, the RSS had wanted to host Sonia Gandhi. It extended an invitation to her for the birth centenary programme of its leader and ideologue M S Golwalkar. The UPA was in power at that time and Sonia Gandhi was its chairperson. The BJP was the main opposition party. The RSS had invited Sonia along with other political leaders, academics and eminent persons from all walks of life. Participants in the programme included then vice president Bhairon Singh Shekhawat, RSS chief K S Sudershan and Ramjanambhoomi firebrand leader Sadhvi Rithambara. Surprisingly, Atal Behari Vajpayee was not on the list of speakers. Sonia declined the invitation, just as Rahul is likely to refuse if the RSS calls him. The RSS is planning a lecture series called “Future of Bharat: An RSS Perspective” in September at Vigyan Bhavan. Apart from Rahul, reports suggest that the Sangh may also invite CPI(M) general secretary Sitaram Yechury. Bangladesh watchers here are worried at the rising tide of anti-India feeling in that country after the release of the National Register of Citizens which listed 40 lakh Bangladeshis as illegal immigrants in Assam. There is concern here that the issue, if it escalates, could affect Sheikh Hasina’s re-election campaign. The general election is due in December and India would very much like to see Sheikh Hasina back as prime minister because of her India-friendly policies. Her government has been cooperative in tracking down militants hiding in Bangladesh and dismantling terrorist infrastructure. Some diplomatic watchers feel that the Modi government should have delayed the preparation of the NRC and waited for the completion of the Bangladesh election. It would have given Hasina breathing space and made re-election easier. Given that Bangladesh is the only neighbor left which is still well disposed towards India, the diplomatic gain is important. But for the BJP, domestic compulsions are primary right now. It is focused on winning the 2019 election and NRC is an important tool to polarize votes. Hasina and Bangladesh can wait.